The Tre Mercati "Professional" Range is ideal for both home or business use. The flexibility of the moving spray allows a variety of positions that makes those kitchen tasks that little bit easier. 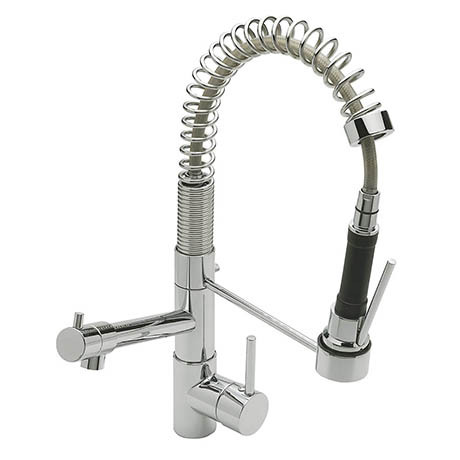 The tap also has a swivel dispenser for added function.